Author Thomas Zigall is our guest this week. 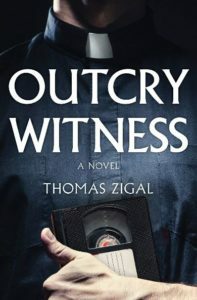 We’ll be discussing his latest novel, OUTCRY WITNESS (TCU Press, February 22, 2019). Writing on the Air is broadcast Wednesdays from 6-7pm Central from the KOOP Radio studios in Austin, Texas. We’re heard on Austin radio 91.7FM KOOP, and streaming at KOOP.org. You can also listen online at TuneIn.com and Radio Free America. Episodes are available in our Radio Free America archive for two weeks after broadcast. Did you know we have over 150 podcast episodes? We invite you to browse them here on our website; you can download the audios from each page. Our podcast is also available for download from Spotify the Podcast ap/ iTunes. For show updates, be sure and follow us on Facebook and Twitter. We’re glad you’re here, and thanks for listening to our show. THOMAS ZIGAL is the author of seven novels and numerous short stories and essays. 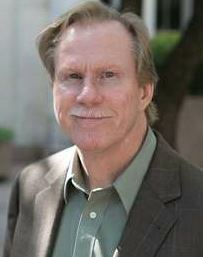 His latest book, Outcry Witness (Texas Christian University Press, February 22, 2019) is the final novel in his New Orleans trilogy, which includes the award-winning Many Rivers to Cross (TCU Press, 2013). Thomas Zigal’s novels have won the Jesse H. Jones Award for Best Work of Fiction from the Texas Institute of Letters, the fiction award from the Philosophical Society of Texas, and the Violet Crown Award from the Writers’ League of Texas. He lives in Austin, Texas with his wife and family. It’s the 1980s. A priest is found murdered in his New Orleans rectory. When compromising videotapes are discovered in his bedroom, the Bishop and his staff withhold this damaging evidence from the police. The district attorney, a faithful Catholic and good friend of the Bishop, helps bury the truth. It’s an all-too-familiar story by now. But this is one of the first cases, long before the floodgates are opened two decades later. When Father Edward McMurray discovers the body and calls on his loyal nephew, Peter Moore to remove the videotapes and examine them in private elsewhere, the two men must face the moral consequences of their participation in a cover-up that compromises their integrity and threatens to shatter their faith in the institution of the Catholic Church. For more information, please see ThomasZigal.com. You can also keep up with him on Facebook.